Howard Cundey Live is delighted to have been shortlisted for the prestigious Property Wire Awards in the category of ‘Best Online Agency’. The awards, from the premier global property news service, celebrate the hard work that has been going on in the industry through what has been a challenging market, rewarding excellence and looking at the champions of the industry today and in the future. 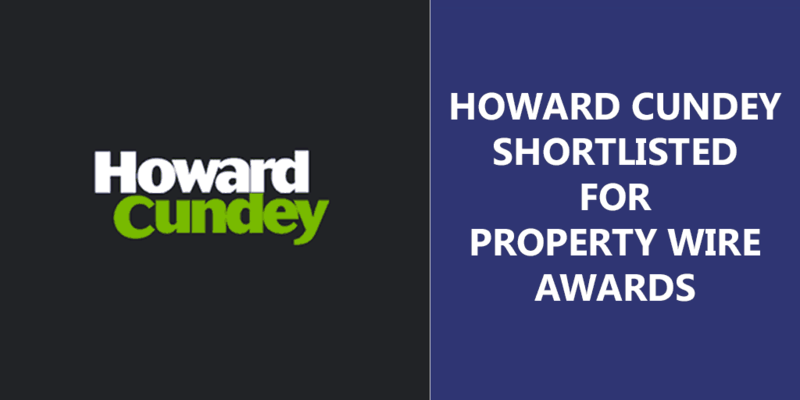 After initially entering the awards, Howard Cundey Live was shortlisted in the top 10, which was then put to a public vote against the likes of well-established online agencies such as Purple Bricks and Yopa, from which it came out as one of the top 3. Howard Cundey Live, the latest innovative venture from multi award-winning estate agent Howard Cundey, was only established in October 2017 – further highlighting the impact the service has had on customers over a very short space of time. Howard Cundey is an independent estate agent providing residential sales, lettings, property management and commercial expertise. They have become well known for their pioneering approach to providing exceptional solutions that meet the diverse range of customer needs when it comes to selling a property, recognised by the many awards they have won over the years for innovation, marketing and customer service. Howard Cundey Live was set up using RPS Digital, the online/hybrid agency solution from Reapit; the largest CRM and Lettings Accounting software provider to the UK residential real estate sector. This integrated solution has enabled Howard Cundey to offer a true 24/7 model. This year marks the 50th anniversary of Howard Cundey, and whilst the business reflects on five decades of success, they also look to the future and how they can continue to be front-runners in the industry and overcome the challenges it faces by revolutionising the traditional estate agency model.